MAN WITH A MISSION & Psycho le Cemu at Japan Expo 2016! | VKH Press – J-Rock & Visual Kei Coverage Worldwide! 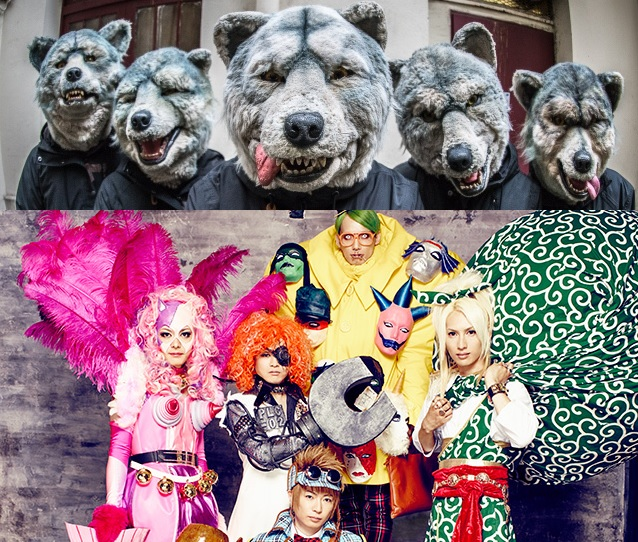 Home / MAN WITH A MISSION / News / Psycho le Cemu / Tours / MAN WITH A MISSION & Psycho le Cemu at Japan Expo 2016! MAN WITH A MISSION & Psycho le Cemu at Japan Expo 2016! Many interesting guests for this year's Japan Expo in Paris have been announced already! For fans of j-rock and visual kei, bands like MAN WITH A MISSION and Psycho le Cemu will be standing on stage, so make sure you go there when it takes place from July 7th - July 10th! MAN WITH A MISSION's performance will be held on July 9th (16:45 - 17:30) and they will be there on July 10th for media appearance too. On July 7th and 9th (both 15:45 - 16:30) you are also able to visit Psycho le Cemu's shows! Moreover, they are going to be at the event for autographs, photo sessions and a conference as well. You can find more details at Japan Expo's OHP, so please check it out!